A SPECIAL court has granted further police custody to Heera Group managing director and founder Nowhera Shaikh to the Economic Offences Wing (EOW) till November 8. 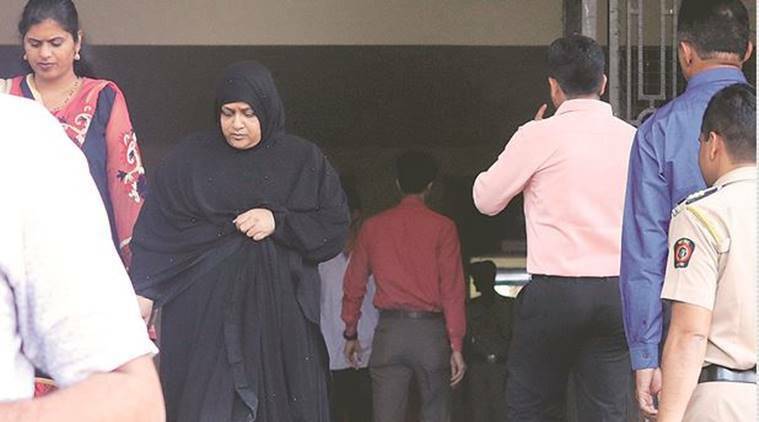 Shaikh, who was arrested on October 26, was produced in the court for extension of custody with the EOW claiming that she was not cooperating with the probe. In its remand application submitted to the court, the EOW said that so far, 50 bank accounts connected with the group and Shaikh have been seized. The money received in these bank accounts from November 28, 2016, to May 23, 2017, is Rs 141 crore, the EOW told the court. It said that so far, 147 investors have come forward and the number is expected to rise. The investigators told the court that the statements of many of the investors have been taken, along with documents of their investment in the companies. The scrutiny of these documents show that money had not been returned to investors. Special Public Prosecutor Vijay Malankar also said that there were discrepancies in these documents and the claims made by Shaikh during her interrogation. The remand application also stated that the company had offices in many parts of India, as well as abroad, including in Saudi Arabia, Dubai, Kuwait, Ghana and Canada. The EOW also said that while it had sought information about registration of the group from the Non-Banking Financial Company, the Reserve Bank of India and the Securities and Exchange Board of India, a response is yet to be received. Nowhera, through her advocate, opposed the remand. The court, however, said that probing the alleged fraud was necessary and granted police custody of Shaikh to the EOW till November 8. The court also refused to grant interim relief to Mumbai-based Salim Ansari, a marketing executive, also named as an accused in the FIR. Ansari sought anticipatory bail stating, among other grounds, that he had not induced anyone into investing in the company. The court will hear the plea on November 13. Last week, J J Marg police had registered an FIR against Shaikh after which the matter was transferred to the EOW of the Mumbai Police. Shaikh, a resident of Hyderabad and an entrepreneur-turned-politician, had earlier been arrested by Hyderabad Police in connection with a similar offence.